To track her progress, Julia starts a blog called The Twelve Days of Christmas. Her first attempts to humanize Cain are far from successful. Julia brings him homemade Christmas treats and the disagreeable grinch won’t even accept them. Meanwhile, Julia’s blog becomes an online sensation, as an astonishing number of people start following her adventures. Julia continues to find ways to express kindness and, little by little, chips away at Cain’s gruff façade to reveal the caring man underneath. Unbelievably, Julia feels herself falling for Cain—and she suspects that he may be falling for her as well. But as the popularity of her blog continues to grow, Julia must decide if telling Cain the truth about having chronicled their relationship to the rest of the world is worth risking their chance at love. I've been reading Debbie Macomber's books since she first began writing category romances in the early 1980s. While I've enjoyed the many different types of books she's written in the intervening years, it's her holiday stories that hold a special place in my heart with this year's book, Twelve Days of Christmas, being a particular favorite. Why this book? There are a few reasons. First, I love a good Scrooge book and Cain makes a delightful Scrooge. He's so determined to be all 'Bah Humbug' when we all know that deep down he's anything but. He's been hurt - deeply - and building that wall around his heart is the only way he knows to protect himself. Then there's Julia. While naturally a friendly, considerate person, when she makes a concerted effort to perform specific acts of kindness, the resulting effect is something she never could have anticipated. She's changed by these kindnesses she's performing. Others are as well. Finally, there's the theme of this book that kept me smiling while I flew cross-country a couple weeks ago. Kindness: a simple word with life-changing properties. Kindness is like that pebble you toss into still water. The ripples it creates are endless. Kindness is something I learned at a young age. My grandmother lived by the Bible's Golden Rule: "do unto others as you would have them do unto you" (Matthew 7:12). It's a principle by which she lived and one I have followed since my earliest memories. Treat others as you want to be treated. Perform random acts of kindness expecting nothing in return. Smile at others as you go through your daily life. It takes so little time and effort but what you receive in return is priceless. While at a recent romance retreat, an author friend and I had breakfast at a restaurant across the street. While sipping coffee and waiting for our food, two ladies walked into the restaurant and began looking around for a place to sit. I hadn't met them but I had seen them at the retreat so I smiled and invited them to sit in our booth. There were other seats available - they wouldn't have had to stand there and wait - but by performing that small act of kindness, two things were accomplished. The women had the opportunity to get better acquainted with one of their favorite authors (the woman I was having breakfast with) and I met two amazing women who I may not have if not for a simple smile and small act of kindness. I love cooking and sharing what I cook always brings pleasure, to both me and the recipient of whatever I whip up in my kitchen. Last week, the temperatures cooled a bit, my local grocery had chuck roast on sale, and my taste buds were urging me to feed them good, fresh, veggies. The solution? Hot, hearty, delicious beef stew. When it was ready, I called my neighbor who is always willing to help anyone in need. "You're not cooking tonight," I told her. I saw her a couple days later and she told me how very much she enjoyed the stew and especially the fact that I had wanted to share it with her for no reason other than to be kind. A little thing for me but it brought so much pleasure to her. It's easy to be kind. The third act of kindness is one where I was the recipient. I recently had to cancel a dentist appointment because I had bronchitis. The next day, one of the dental office clerks (a lovely lady who I enjoy chatting with when I'm at the dentist office) called and asked if she could bring me something during her lunch break (my dentist office is only about a mile from my condo). She showed up with a smile, a get-well card, and a big container of some of the most delicious homemade chicken soup I've ever tasted. It didn't cure my bronchitis but it sure made me feel better! So tell me, dear friends. What act of kindness have you recently performed? Haven't done anything lately? How about planning one for the near future? Maybe taking homemade cookies to your local fire department. Or paying for the drink of the person in line behind you at your local fast food restaurant or coffee shop. Or maybe something as simple as holding the door open, helping someone down the stairs or across the street, or taking soup to a sick friend. There are so many things we can do to bring kindness to the world. Tell me about an act of kindness you've recently performed or one you plan to perform. I'll randomly choose one person to receive a $10 Amazon gift card. My small act of kindness for you! What books are on her reading wish list? She loves historicals and Nora Roberts. :) I don't think she has a historical romance author preference (though originally she did say she loved Jude Deveraux and Julie Garwood--esp the latter. But we went through those historicals already. *LOL*) I'm trying to get her hooked on Sarah Maclean and Tessa Dare. My neighbor's daughter has a very bad form of cancer and I have been sending food over for her & her family as well as my neighbor; my neighbor's grandson loves my banana bread and been providing a lot of that for him as well as other food. It is so sad, the grandchild are 10 & 12. I'm so very sorry, Ladbookfan. Cancer is a horrible disease. Bless you for helping out with meals and especially for bring a ray of banana bread sunshine to that young boy. 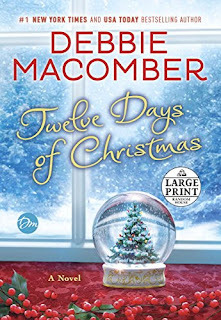 I never miss a Debbie Macomber Christmas book. I look forward to this new one. Just reading about all your acts of kindness brightens my day. I paid for the order of the car behind me at McDonald's one day last week. Doing so always gives me a lift, and since I know that frequently the driver whose order I covered pays for the next car, I like the idea that the kindness is being passed on. One of my friends, a widow living on a tight budget, was the recipient of a great random act of kindness last December. When she prepared to write a check for her weekly groceries, the cashier told her that an anonymous benefactor had already paid for them. All these months late, my friend is still telling that story with a smile. I feel uncomfortable about sharing a kindness I have done. My husband and I do give money, old clothes and furniture, and our time to various charitable organizations. We also have helped our neighbors when their house burned. All in all, any kindnesses we have shown have been greatly returned. 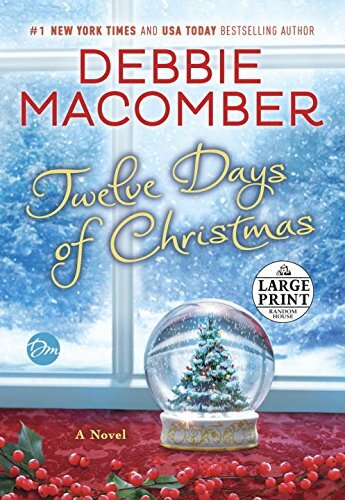 I like Debbie Macomber's Writing, though not generally keen on Christmas stories .... except perhaps during the festive season, after a scotch or two! There are many homeless people in the UK. Some are mentally ill and reject help preferring to sleep rough and be as independent as possible. I found one such in my local church and after taking him to various cheap b/b establishments .. he rejected all of them ... I took him to a fish/pie&chips shop, and gave him a tenner to get himself a good meal. Not sure that it was kindness as it was my way of passing the problem on. Generally I prefer to donate to charity and leave others who may be better qualified to do the ground work. If I had been more alert I could also have given him a few romance novels .... you never know when a good romance might trigger the firing of helpful neurons! What a lovely column. I especially enjoyed the reference to the Golden Rule and its Biblical roots. Only yesterday, we were lamenting that the Golden Rule isn't used very much anymore in popular society. Such a shame. Regarding small acts of kindness--Today, I helped a relative get checked in for a Tuesday flight and tomorrow I'll be bringing her to the airport. I try to offer assistance to women in the grocery store who remind me of my mom and are height impaired!! When I am out and about, when I see someone who seems from their expression to be having a teeny off day, I tell them how nice they look, or that shirt, or dress is a good color for them. When I walk the dogs, I try to pick up any pieces of trash I see laying around. And I always try to make eye contact and smile at people and tell them hello. I live in a large city and it seems that people go about their business and do not always make connections to their fellow human beings. A child was short some money on a field trip, so I gave her the dollar needed so she wouldn't have to put her item back. I always letting people go before me in the grocery line, or helping put their groceries on the belt. The other day my grandson and I were shopping. I was talking to the cashier and looked back, and my grandson was putting the groceries on the belt for the lady behind us. She was riding in one of their motorized carts. My eyes filled with tears. Children do pay attention to what we do. This is one proud grandma. I volunteer at our American Legion - whatever is needed from preparing food, serving, helping out at parties and events. Whether it be baking or preparing meals for those in less fortunate circumstances (or just as a nice surprise), or picking up things at the store for those who aren't as able to do so, I just do it. (In fact, that's my motto in 2016: Just Do It!) I take a few people shopping regularly, plus drive many to medical appointments. (It's called being in the Sandwich Generation where I drive many elderly people who shouldn't be driving in the first place.) I play competitive badminton at 5 different clubs, so I pick up racquets to be restrung and take requests for supplies to a local friend - as if I were an employee but I'm not - so that it helps my friend out (he works long hours for little money to support his family) and allows the players not to have to travel to do their business too. In fact, I help out our local badminton club in various capacities almost every day of the year, especially with passing on information. I collect bread tags, pop tabs, cancelled postage, soup labels, egg cartons, and milk bags for various charities, plus canvass for them too. And the list goes on, I'm sure, but you get the drift. I feel very blessed to be able to do all these things - both for myself and for them - and hope I can physically able to do so for many years to come. On Friday I made a big pot of navy beans. On Saturday we took Rob's aunts, who are in there 90's, a container and some cornbread. They were so happy we just came by and brought the beans. On Wednesday when we were checking out, the elderly woman in front of us did not have enough to pay for her groceries. The one thing she was putting back was a half pudding cake. I figure if you put that in your cart, you really in the mood for something sweet. So the items she put back, I paid for. I told her to enjoy a piece of cake for me. I've started carrying canned dog food and bottled water in my car to give to homeless people for their dogs. What a lovely column! I love the thought of passing an act of kindness forward so our family always donate food to the homeless shelter every Thanksgiving for their annual Thanksgiving dinner. It's a way of sharing and showing appreciation for the blessings we have that unfortunately not all people get to enjoy. We had a wild and torrential rainstorm yesterday. I helped my neighbour catch her garbage bin as it sailed down the street. It was mad & funny!! I make up baskets of snacks, treats and goodies and give them to friends who have been ill and are suffering. I have been doing this for many years and love helping out. When I learn about someone who is doing poorly and needs assistance I cook meals, soups, and bring them over so that they are comforted and supplied. I send out parcels to relatives with specially chosen items to cheer them up. I always try to help out the elderly in stores when I see them struggling.My mom is elderly and I try to help her all I can and I hope if she is ever in a store and needs help that someone will help her. I like to stay anonymous with random acts of kindness. It could be paying it forward by paying for the coffee for the person behind me in line or donating gently used clothing for the local thrift shop so they can raise money for the local chapter of the diabetes association. I take care of my grandson four days a week as his parents can't afford day-care or one of the parents can't afford to be a stay at home mom/dad.